I've been biking full-time for four years. I regret not doing it earlier but there's nothing I can do about that now. But I do wonder what impact biking will have on my progeny? I realize the social pressure on teenagers to get their driving license is beyond my parental influence and the even more influential Voice of Reason (my lovely bride has only taken the van to school to teach once or twice this year). So I have created an incentive to put off driving and to encourage biking, walking, public transit: I asked our insurance agent to provide me a quote for how much it would cost to add one of my progeny onto our auto insurance. After I receive that number I will give my progeny half of that number. So yes I am subsidizing my progeny for not driving (just like our government subsidizes cheap oil). With the other younger progeny I am hoping the continual days of biking will develop into a deeper love of biking which will hopefully make them not want to get their drivers licenses until much later. Which brings me to the point of this blog post. I think we need more bicycle themed toys. Spaceships, remote controlled cars, boats, dolls, buildabears sure. But what about more bikes - Barbie on a bike, buildabike shop in the mall, a bike built out of legos, bike puzzles, & etc. Today I turn 43, and my boys got me this. of course they thought it was hilarious that I wanted such a gift, "dad, you don't even have the rest of the CITY set to play with..." Oh well, but I wonder why the Danish based company does not have more bikes in its sets? 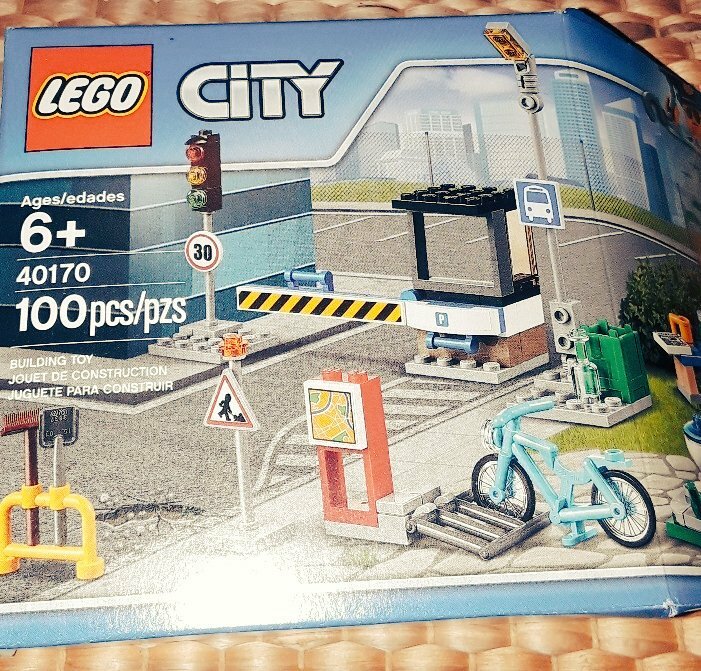 We got to start somewhere to make walking/biking/public transiting the new norm not an odd alternative. Around 20 years ago myself and the Voice of Reason hopped in my Ford Ranger and drove north from Richmond, VA to Rochester, NY. We were exploring the possibility of relocating to Rochester; I wanted to transfer from Baptist Theological Seminary at Richmond to Colgate Rochester Divinity School. Because Myrtle Beach does not count, this was really the first time we had been out of Appalachia & the South (we grew up poor, give us a break). We feel in love. We arrived in Rochester on one of those rare blue skyed, clear sunshine, verdant spring days. I was infatuated. Ever since that trip I hold a special place in my heart for Rochester. 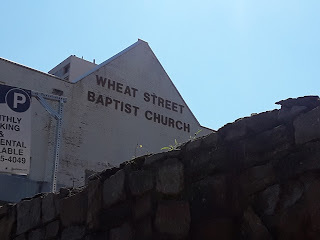 It is where I was ordained, it was where I found my calling, it was where I met great people, it is where I go when I'm down and out to be filled. But interestingly, it was not a town I biked much. I bought a bike during my last semester, an old Motobecane at a yard sale, but it was too big. So this year I booked the first flight of the day from MSP to ROC so I could have a few hours to bike around the town. As I waited in line to pick up my rental car (yes, I see the irony) I looked through City Newspaper for food recommendations. I settled on Rohrbach Brewing as my spot (nice combination of high reviews, beer, and close to a bike share kiosk). 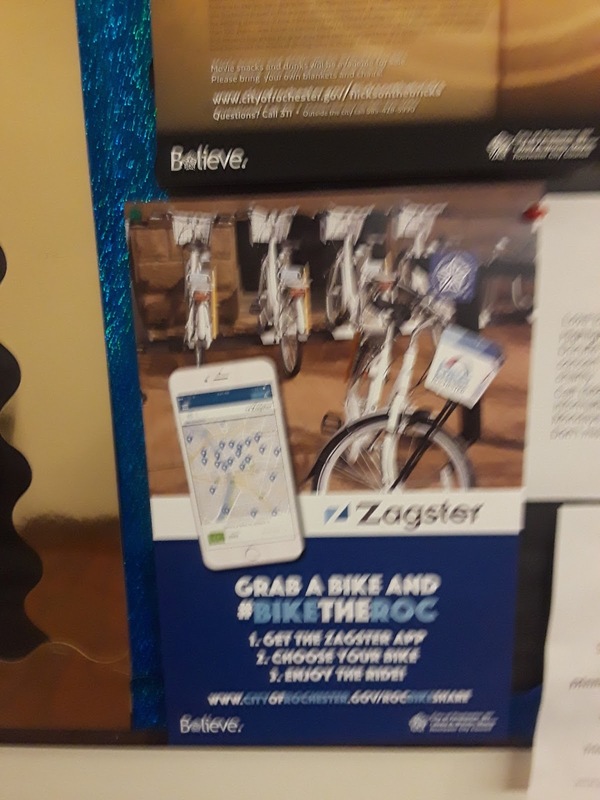 First things first the zagster ride share program is a piece of cake to operate. Seven speeds, easy to ride. 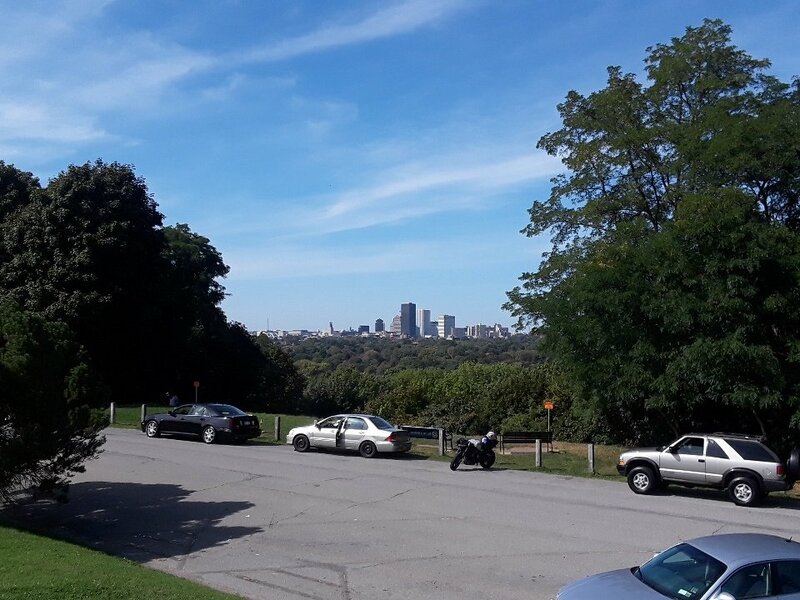 Knowing I was going to have a beer at the end of my ride I started off by pedaling up to the top of Cobbs Hill Reservoir. 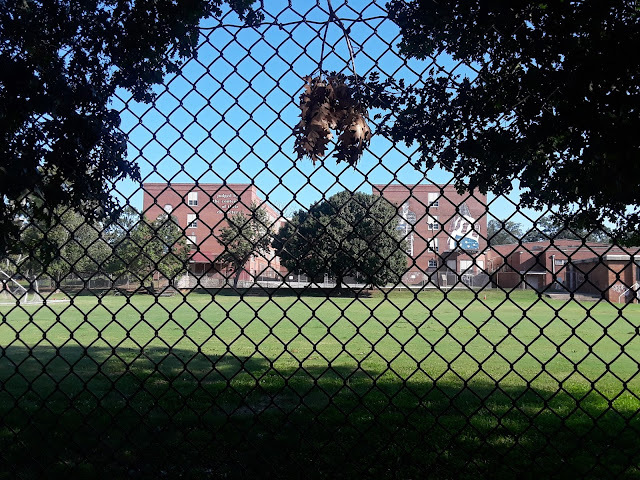 Back down the hill, past my old apartment where the dude downstairs smoked weed every night and every morning yelled, "stop barking" to his barking dog. Cut through where Dr. Lemke used to live (what an angel and scholar that man was), then up the hill to CRCDS. 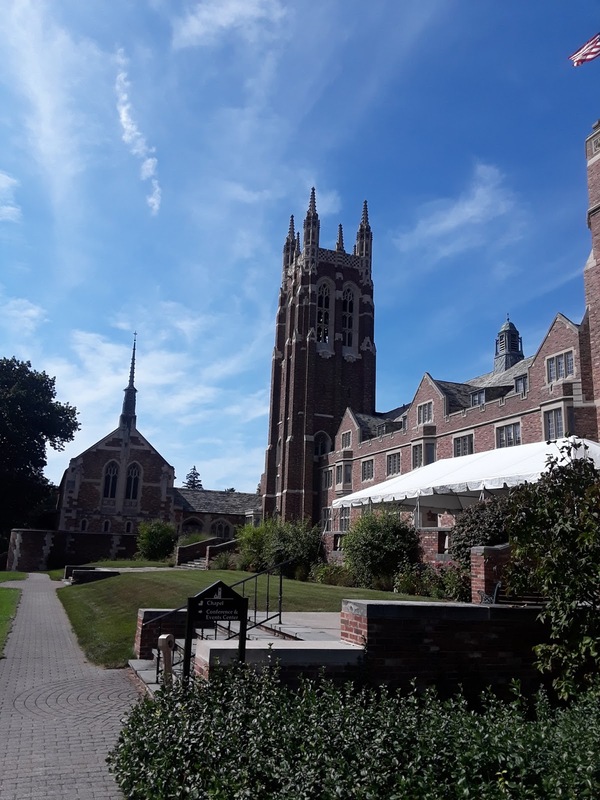 Bike lanes in front of the divinity school! I would make that the front page of the webpage. The day was very much like the day the VOR and I first arrived. Who wouldn't want to go to school here? 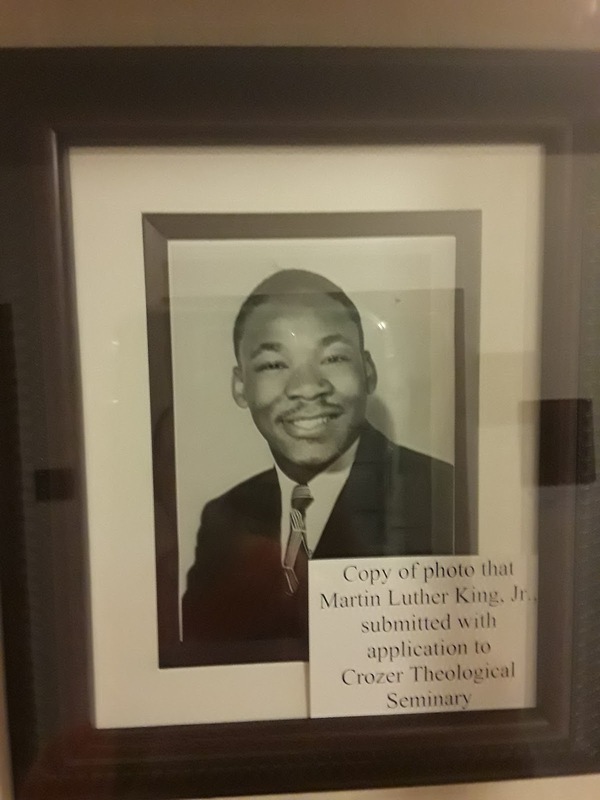 MLK, Jr. did not attend CRDS but he did attend Crozer Theological School which merged with CRDS to form (drumroll) Colgate Rochester Crozer Divinity School. Look at how young he was. On down the hall I was pleased to see the Zagster poster. 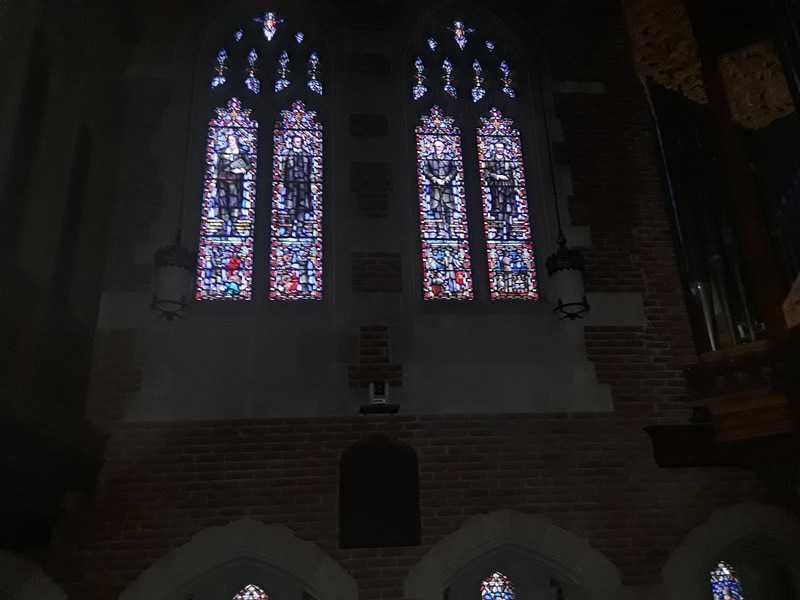 Then I stopped by the Samuel Colgate Chapel (yelp that Colgate both the school Colgate University and Colgate toothpaste) he was a good Baptist. This is the stained glass window as you leave. Four people (men, white men) who framed the tradition I was trained in: from L to R: Roger Williams, William Newton Clarke, Adoniram Judson, & Walter Rauschenbusch). 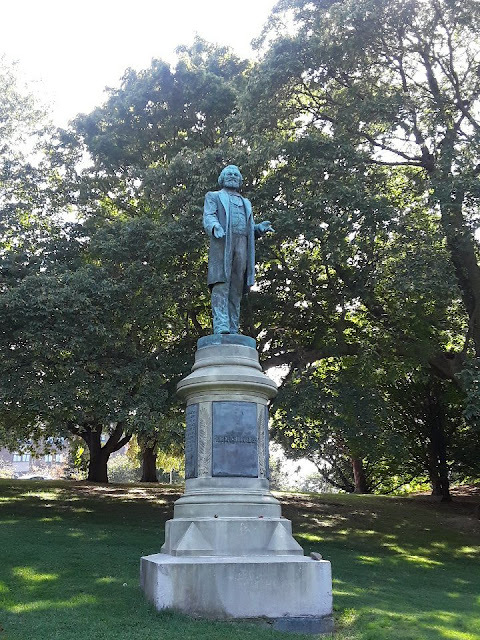 From the school I pedaled over to Highland Park Bowl to the Frederick Douglas statue (the first statue memorializing an African-American in the US). 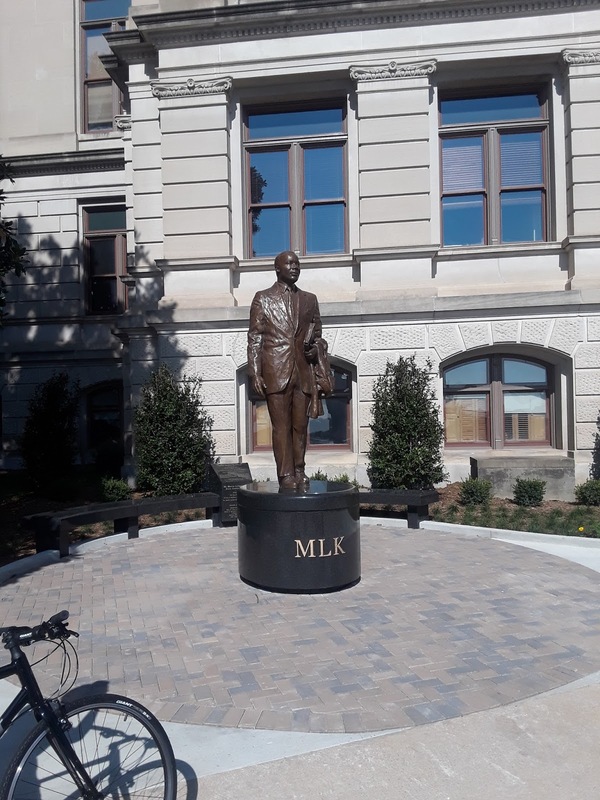 As I looked up at Mr. Douglas I wondered how different the nation would be if instead of Confederate generals there were statues of Douglas! 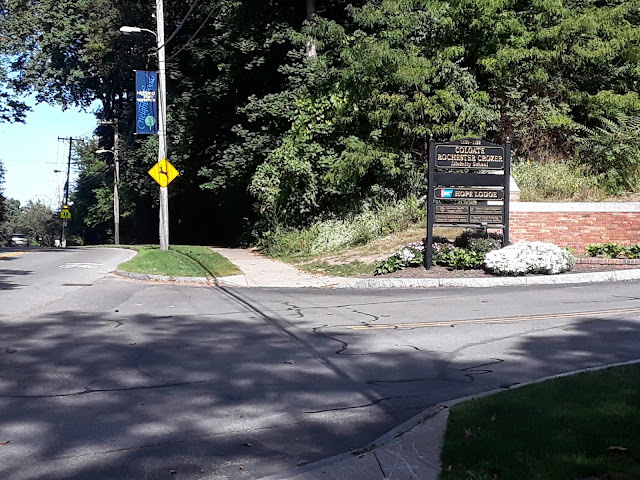 From the park I made my way down through the University of Rochester campus (by the way, Baptist in origin too). 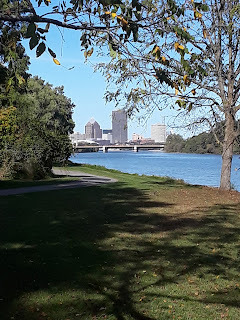 As I pedaled through campus I planned on taking the path by the river back to downtown but I saw another bike path and took it instead. What a lovely ride on the other side of the Genesee. Through downtown, over the Inner Loop. If you haven't read about a city reclaiming/deconstructing roads then read this piece. Not having the Inner Loop threw me off a bit, but how cool that it is no longer there. By then I was hungry (and thirsty) and I was running out of time. I parked my bike in the kiosk and called it a day. 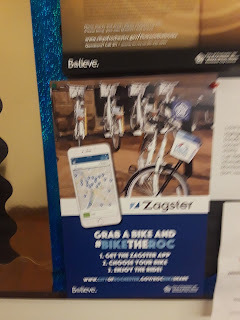 A few notes about Zagster bikes. One, they are cheap. $1/half hour. Two, they are everywhere. I couldn't get over how many kiosks (usually small, six or seven groups) there were throughout the town, sometimes just blocks away. Three, people use them. Later that night I saw a peloton of them pedaling through downtown. The ride inspired me to create a Social Gospel bike tour through the city for next year. Oh that will be fun. The day finished with a beer and maybe, a strong maybe, the greatest ham and cheese on a pretzel roll sandwich I've ever had. This week the New York Times ran a nice piece on bike share programs in Washington D.C.
About halfway through the piece my eyes nearly popped out. Why? bikes and churches were mentioned in the same article. Unfortunately, the mention was not in a positive manner. The issue mentioned centered on the disruption of parking due to proposed bike lanes. For the record, I have nearly an entire chapter devoted to parking in my book proposal. I had to find out more about the issue. 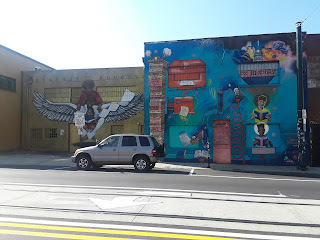 Using the google machine I bird dogged down the bike lanes and churches back story. 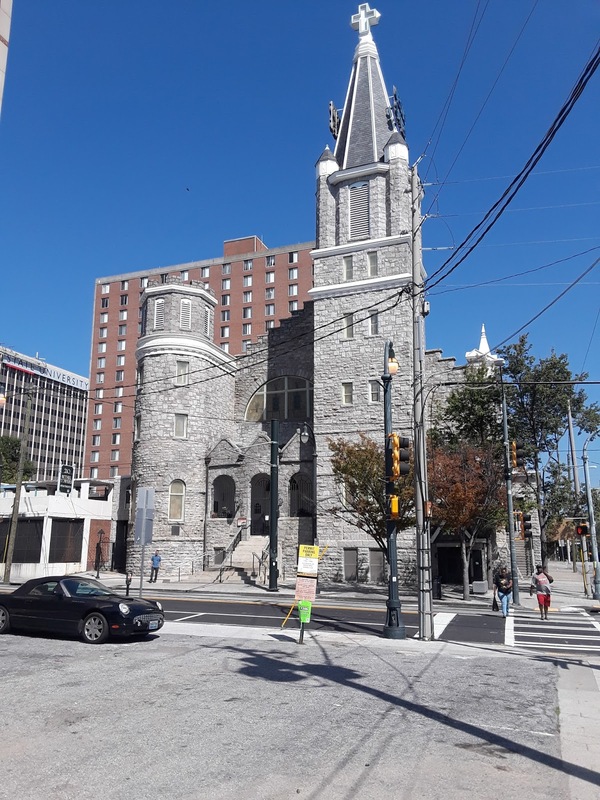 In 2015 churches, African-American churches, protested the proposal of a protected bike lane in front of their churches. One deacon was quoted saying, “This ain’t London, this ain’t Europe. The United States is built on the automobile and we need to respect that." The deacon is exactly right. 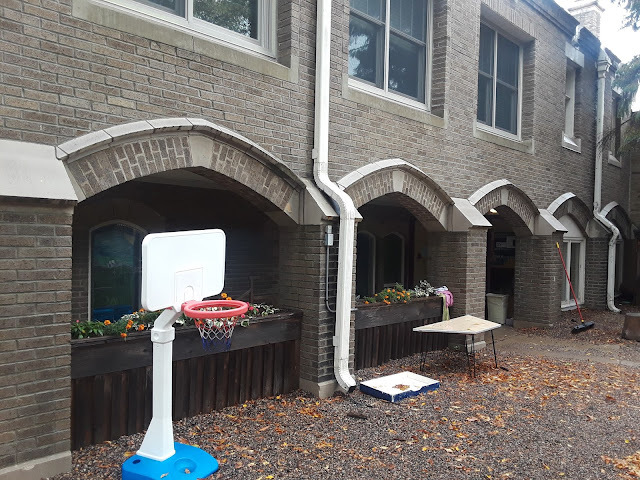 I would like to see churches adopt biking and the beautiful benefits of bike parking. But I don't think the best way to do that is to plop(impose) a protected bike lane in front of historic African-American churches. Especially, when African-Americans drive, with a higher than average percentage, from their homes to their churches. 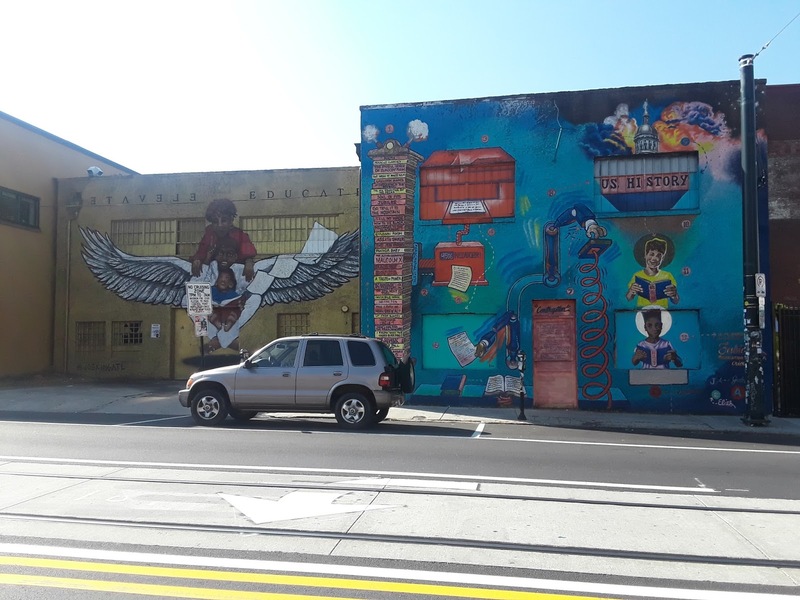 The African-American church is a thriving (and sometimes strained) and meaningful institution that should be honored and recognized when the issue of biking (and bike lanes) is proposed. Should historically disenfranchised institutions bear the brunt of alternative transportation plans? NO. These institutions and communities have bore the brunt of transportation decisions for decades. Instead of disrupting their communities these communities should be first and foremost in the conversation. Listen first then look to Outreach, Partnership, Communication, Education; not disruption and taking away of parking spaces. On the one hand the sentence in the article is a sad mentioning. On the other hand I see it as a generative idea for not what to do. 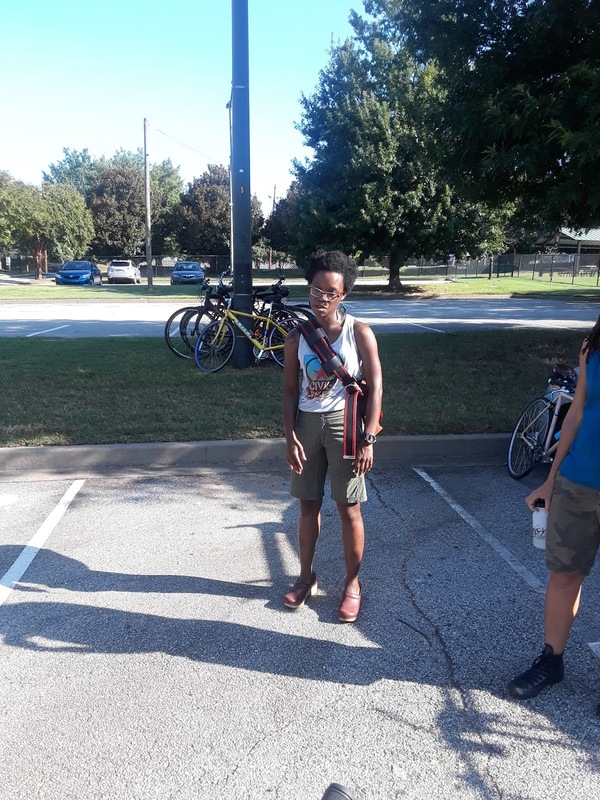 If the narrative or assumption is that biking is an activity for the privileged and historically disenfranchised must adapt to the privileged activity then the expansion of biking is dead on arrival. 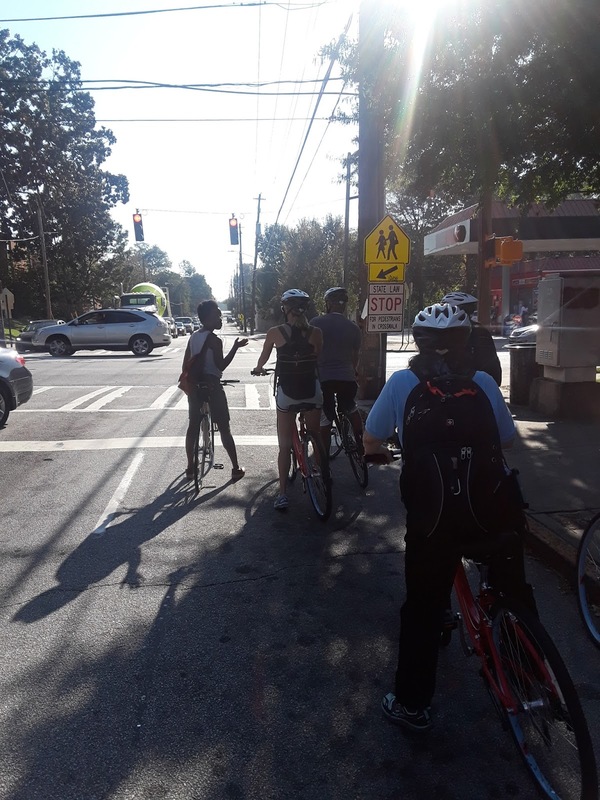 To make biking equitable the biking community must do its homework, tenderize consciences, and be open to alternatives. And listen to this piece from MPR news. I think churches can be leaders in this realm, I hope so. Post-script. Have any of you ever seen the word "stippled" in print? 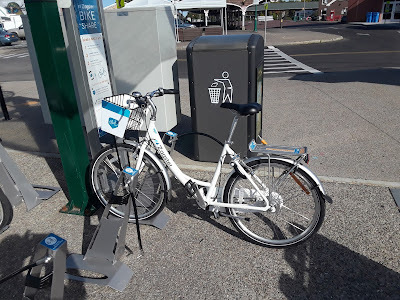 Post-post-script the idea of e-bikes in a bike share program is pure genius. As some of you know I have campaigned, unsuccessfully, for the Minnesota Twins to offer "Clergy Passes" for home games. I mean the Red Sox do it, so do the Cardinals, and the Reds so why not the Twins? 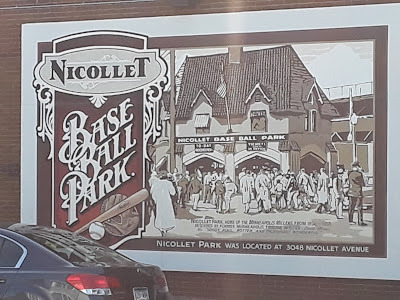 I know there are good reasons not to start the program, but it would be cool if the Twins offered 100 first come, first serve, standing room only tickets, for free, to clergy within the Twin Cities? Imagine rabbis, pastors, imams and others all standing along the rail watching the Twins play a game, talking shop, complaining about parishioners, sharing favorite restaurants, bike routes, hopes and dreams. I think it could be a model initiative for peace in a multi-faith world. Which brings me to today's post. In a few hours the Twins will play the Yankees in the Wild Card play-in game. One game, winner take all, anything can happen... For the record, I will not pray for the Twins to win; I have other issues to bend the Holy One's ear with. 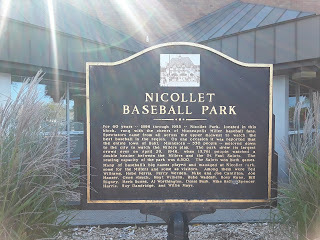 But it doesn't mean that I will not have transcendent thoughts about baseball and the Twins. You see, when I walk into Judson Memorial Baptist Church I have to think such thoughts! The architect who designed Judson forces me (and every one else) each and every time I (we) enter the church to do this. The current Judson building (1914) was designed by Harry Wild Jones, how could a parent look down at the little babe in their arms and name him Wild? (I know he was named after his mother, but still). In 1912 Harry Wild Jones designed the renovations for Nicollet Park, the home of the Minneapolis Millers. 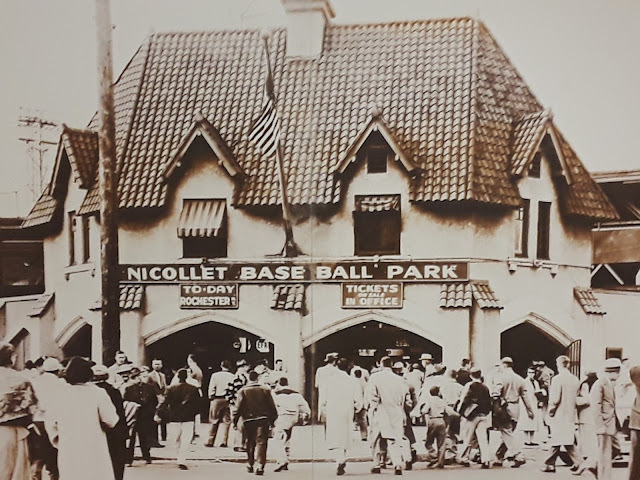 And one of the key features of Nicollet Park was it its arches. Bicycling Interlude. 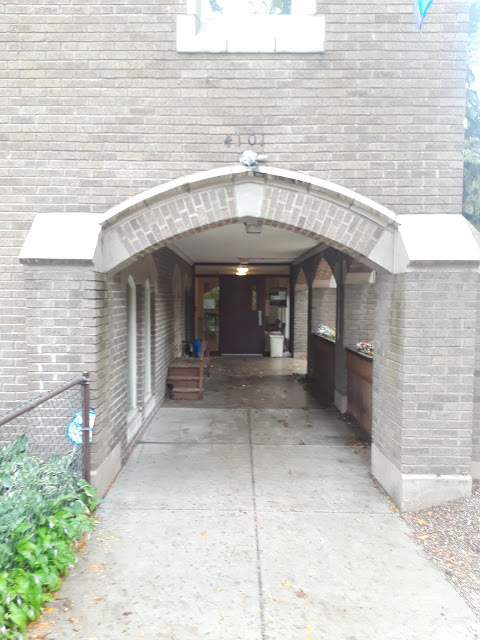 A few days ago while biking from the west end of Minneapolis back to Judson I took a five minute break to explore the Wells Fargo branch that occupies the location of Nicollet Park. 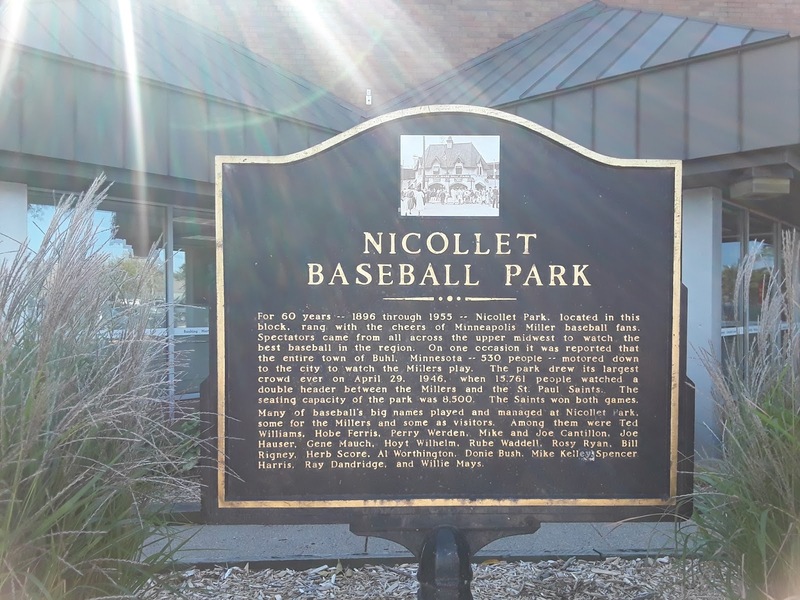 I heard the branch had a community room with items and pictures of Nicollet Park. I was misinformed. All the branch had was three pictures of the park. This is the best. 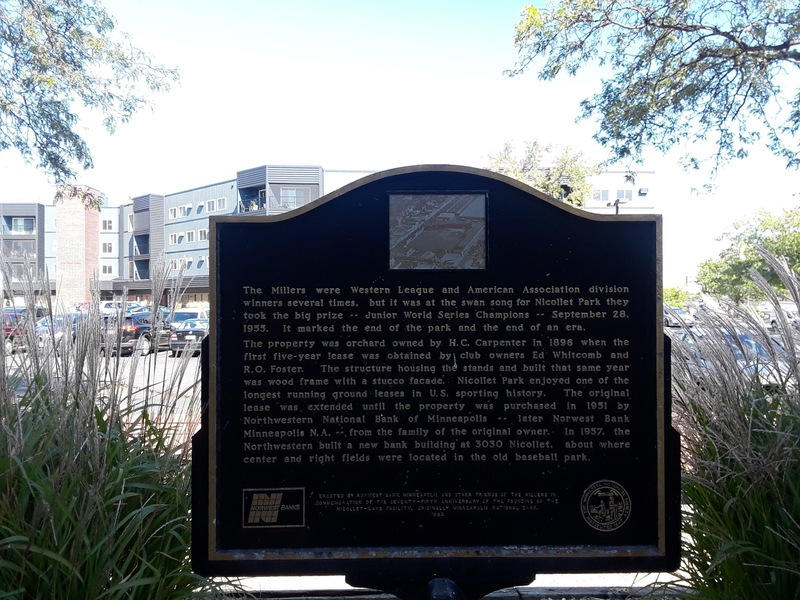 Outside of the branch is a plaque about the park and the ball played there. I was hoping they would have some kind of marking of home plate, like they have at the Mall of America. Oh well. 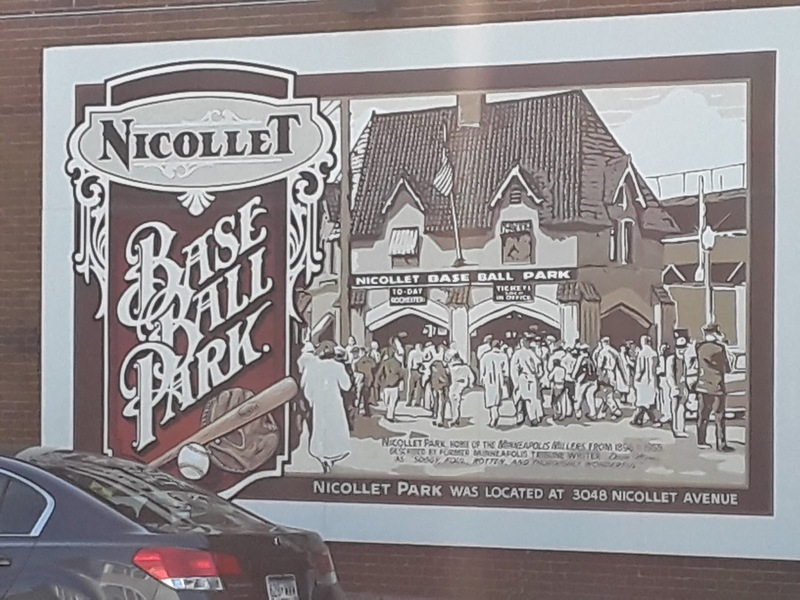 I then biked south to 38th and Nicollet to take some pics of the mural of Nicollet Park. Okay, now get ready. Take a long look at those beautiful, spanning, architecturally wonderful arches. Now close your eyes and count to 6. Recently I attended the New Baptist Covenant Summit 2017. If you don't know about the NBC and their work stop what you're doing and read about them here. Welcome back. Still feeling the high from the record setting bike ride in Portland I asked the leadership of NBC about a bike ride as part of the Summit. I knew time was not on my side (only about six weeks to get the word out) but I had to try. Not only did they think it was a good idea they even created a really cool event for it. Let me back track for a moment. While working on my article about bikes and the Montgomery Bus Boycott I found a link to Civil Bikes. I read about Civil Bikes and fell in love with this organization. I wrote the principal of Civil Bikes and asked if we could arrange a Civil Rights tour before the NBC Summit. She said yes as well. 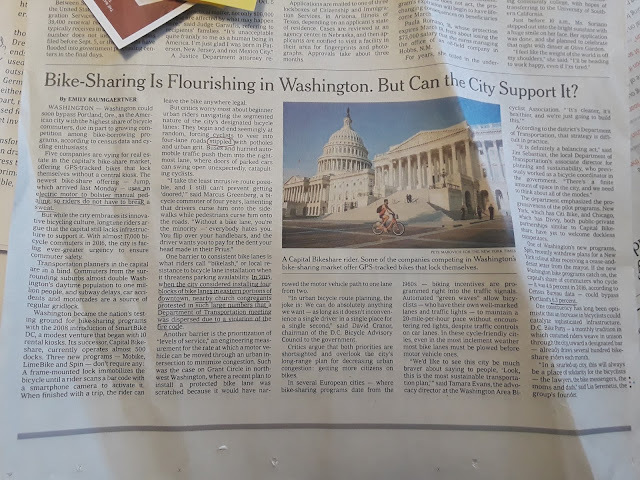 It is one thing to read about the Civil Rights era but it is another thing to pedal on the ground and see it at "bike-level". I kept thinking this over and over and over as we pedaled around Atlanta. 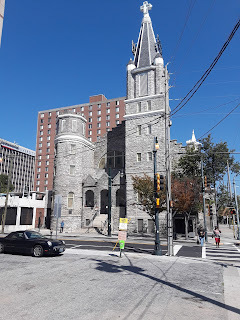 So on the Monday morning before the Summit an intimate group met in the parking lot of King Center behind Ebenezer Baptist Church and started our tour. 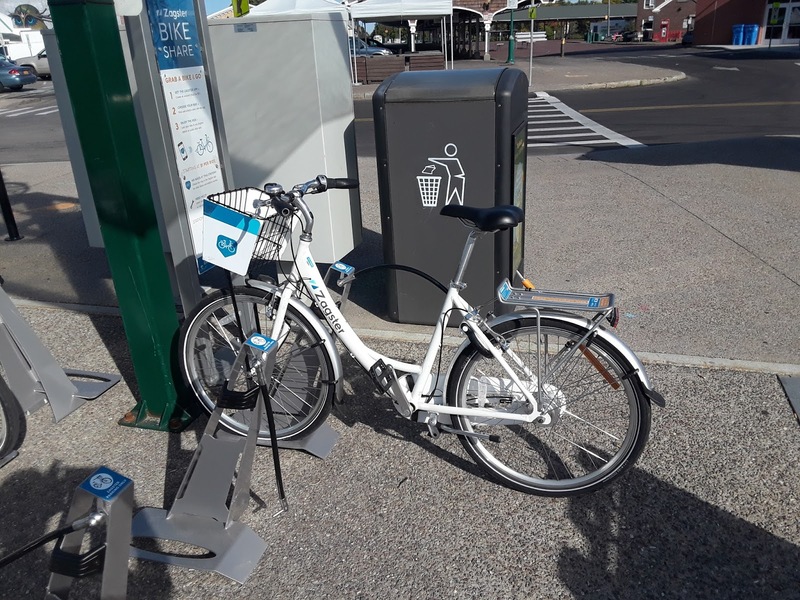 (Know that Nedra will provide bikes - nice bikes - and helmets, but if you have your own bike that works too). We turned, pedaled, and admired the differing architecture everything from restored Victorian to plain and fancy shotguns. 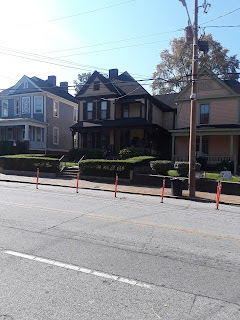 And then there was the MLK, Jr. birth home. 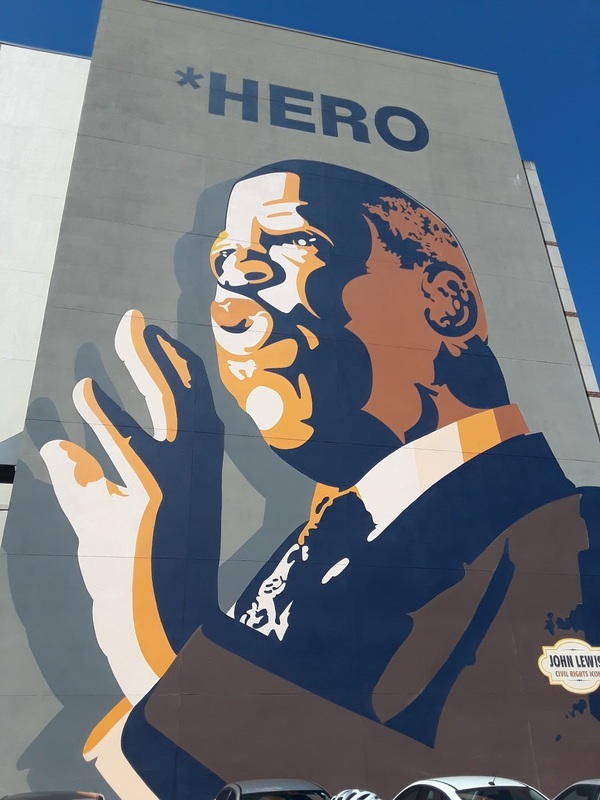 Back on the bike to this amazing mural. I could have spent the remainder of the day taking in the metaphors, symbols, and words. But we had more to see. 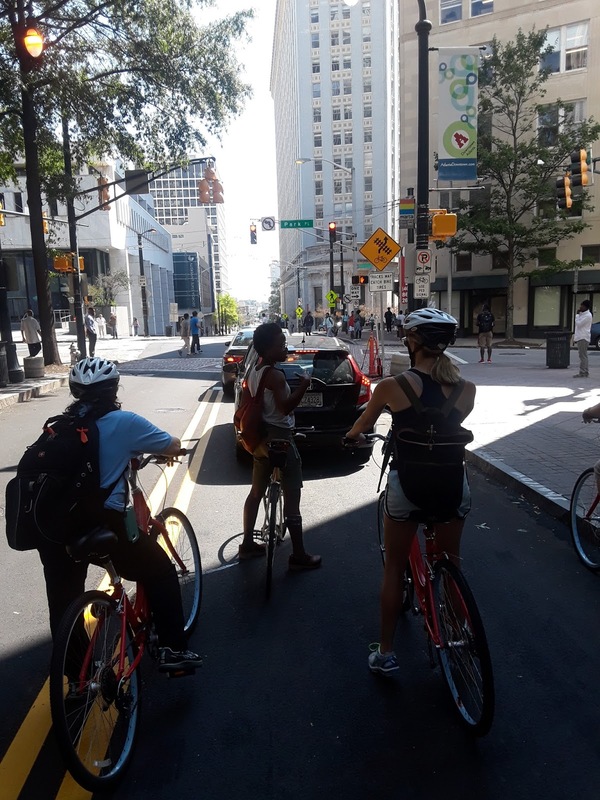 On our way to the state capitol we ran into a blocked road, no problem when you're on a bike though, we just pedaled around it. By the state capitol someone yelled at me for not wearing a helmet, said I was breaking the law. We stopped for a water/snack break at a convenience store about an hour after we started. 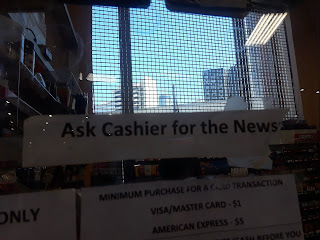 On the glass at the counter I found this interesting imperative. I was surprised how easy it was to get around Atlanta on bike. Drivers were not too aggressive, bike lanes were well marked, and it wasn't too hot. 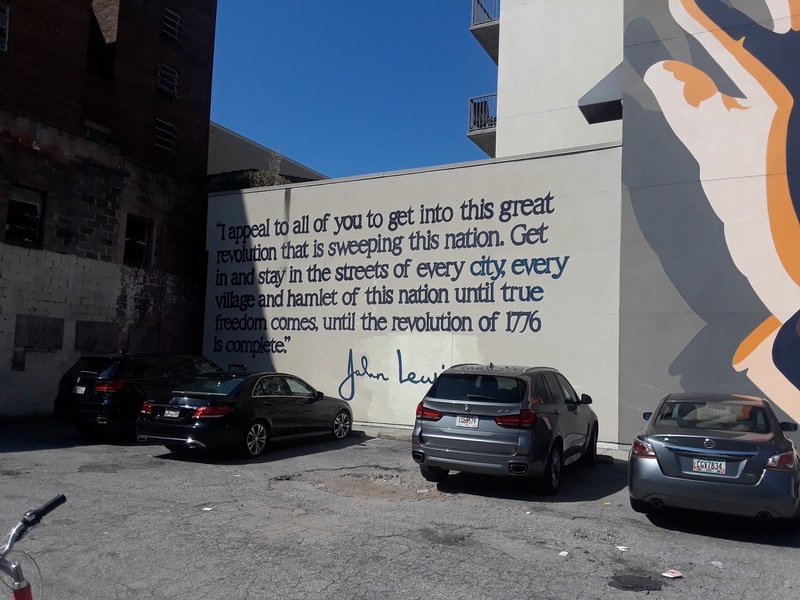 Our next stop, our pen ultimate, was the John Lewis mural and Big Bethel AME. Again more re-education, more insights, more great stuff. Then we stopped a few feet away for our final stop outside of Wheat Street Baptist Church. Then we biked back to the parking lot and finished the tour. I felt like the tour was just getting started. It was that good. I had never thought about a bike tour as the perfect vessel for a tour like this. Each stop was an education (for me) but also an emotional experience. Biking from point to point gave me some time to process it and moving via a bike gave my body time to process it as well. Plus, sure you can talk while biking but since it was an unfamiliar city there wasn't a lot of chit-chat going on which created silence to process the tour as well. All in all it was a three hour tour, encompassing about eight miles. I would do it again in a heartbeat.